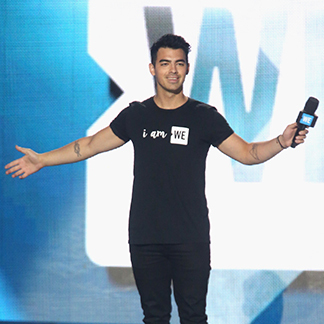 Our celebrity ambassadors lend their voices, time and talent to help us empower young people to change the world. 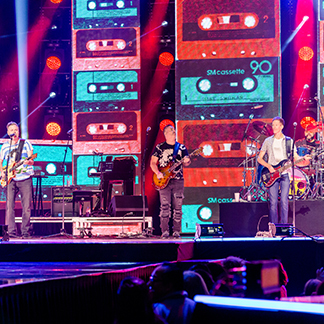 From the WE Day stage they shine a spotlight on the causes close to their hearts, from bullying and mental health to education and human rights. 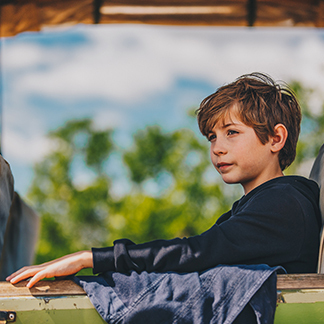 Many also travel overseas to meet with children and families in WE Charity’s partner communities, and afterward raise awareness and funds for its sustainable development model. Lilly Singh is the embodiment of girl power. Through her YouTube channel, IISuperwomanII, Lilly works to unite girls and women around the world by spreading #GirlLove, and showing her followers the amazing things we can achieve when women support each other. 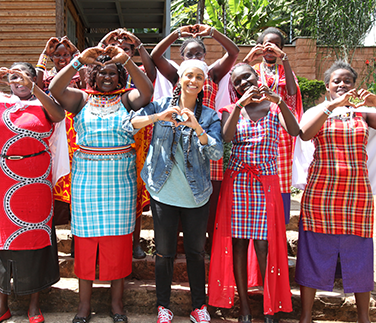 Lilly has travelled to Kenya twice with ME to WE to witness the incredible impact she has created in person, and to connect with community members. She had the chance to join women on a water walk, spend time with students at the Kisaruni Group of Schools, and bead with women who are part of ME to WE Artisans. It was in Kenya that Lilly was inspired to design a #GirlLove Rafiki Bracelet to celebrate her birthday in 2016. Proceeds from each bracelet went toward helping girls in Kenya access education. 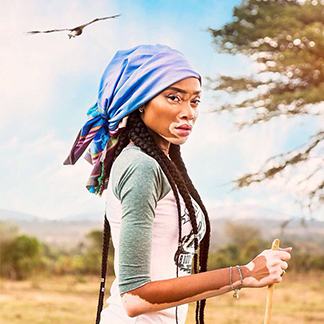 It was so popular that she created the #GirlLove Rafiki 2.0 the following year. To date, more than 30,000 (and counting!) #GirlLove Rafikis have been sold. 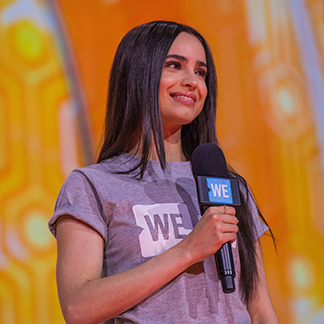 Lilly has spread her anti-bullying message to thousands of youth at several WE Day events across Canada and the U.S. When Demi Lovato joined ME to WE in Kenya for her 21st birthday in 2013, we had trouble wrapping her gift. To celebrate the international pop star’s big day, one of our partner communities gave her a goat—an important source of milk and income for Maasai families. 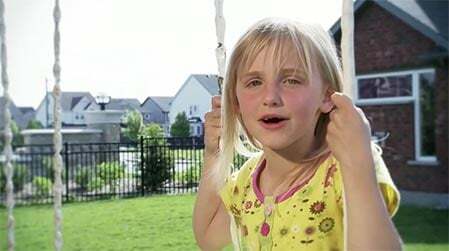 For Demi, who decided to help build an x-ray clinic in lieu of a traditional birthday party, it meant the world. She named him Billy. On that trip, Demi dove deep into our programming to learn how we partner with developing communities to help them find sustainable solutions to poverty. She even walked in the footsteps of the local women—literally—when she joined them on a water walk. In Kenya, Demi also collaborated with ME to WE Artisans to design the Demi Lovato Rafiki, which was sold on her tour the following year to help support the construction of a Women’s Empowerment Center in Kenya. 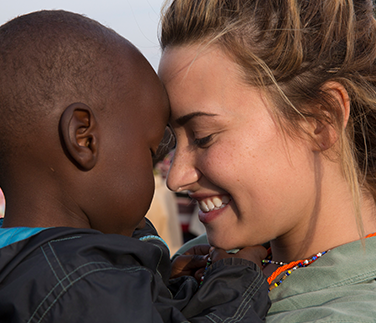 Demi returned to Kenya in 2017 with her family and a group of her closest friends so that they could have the same life-changing experience she had four years earlier. Demi has raised over $80,000 for WE Charity and attended five WE Days as both a speaker and performer, been part of two U.S. broadcasts, and hosted WE Day Toronto in 2015. When Natalie Portman travelled to Kenya in 2015 and visited Kisaruni Girls Secondary School, it made her reflect on her own childhood. She recalled complaining about her own homework as she met the first graduating class from Kisaruni—a group of young women who would rather stay up all night and study than sleep; a group who wanted school to be seven days instead of five. She was moved by the young womens’ motivation to learn. In 2016, Natalie was part of the Dior Love Chain campaign. 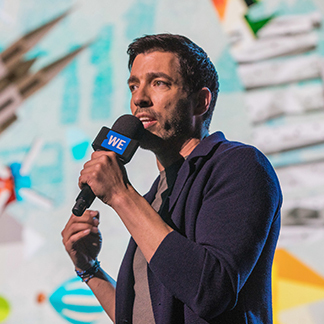 The campaign asks, “What would you do for love?” and asks users to post their response on social media. For every post, Dior donated $1 to help WE provide girls in Kenya with access to education. 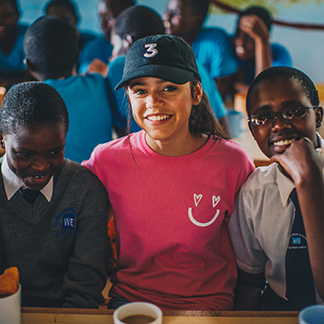 Natalie has also participated in the Power of a Girl campaign, which encouraged youth in North America and the UK to raise funds to send girls to Kisaruni Girls Secondary School so that they can follow their dreams. 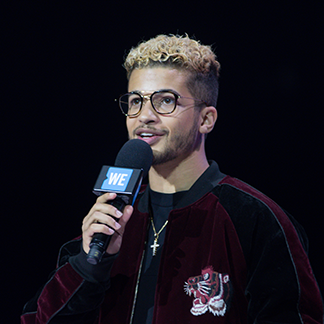 Marauders, he even re-mixed and re-released his hit single “Turn It Up” as “WE Turn It Up,” which became the music for the official WE Day Dance. 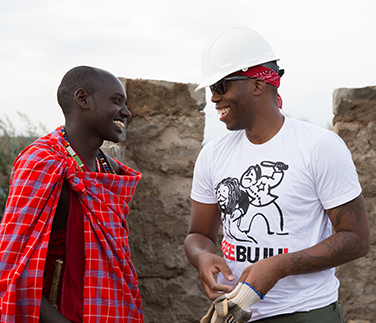 In 2013, Kardinal visited WE Villages communities in rural Kenya and helped build a medical clinic. He got an on-the-ground look at our development programs and saw an opportunity to open the eyes of young North Americans to global issues. Since then, Kardinal has raised hundreds of thousands of dollars through his organization, 30 Elephants, to send over 40 inner-city youth on ME to WE Trips where they can volunteer on development projects and discover their leadership potential. Whether she’s belting out show-stopping singles in front of thousands of youth at WE Day, or providing mentorship and music lessons to a handful of high schools girls in a rural Kenyan classroom, Nelly Furtado puts her heart into everything she does. In 2011, Nelly visited WE Charity’s first all-girls secondary school while on a trip to Kenya to film a CTV documentary. 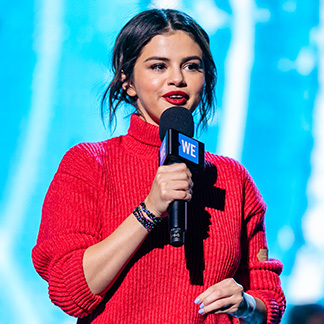 The Grammy Award-winner saw how attending high school opened up unprecedented opportunities for the girls she met, and has tirelessly championed girls’ education ever since. The trip even inspired her fifth studio album, The Spirit Indestructible. Nelly has been back to the Maasai Mara three times, and donated $1 million to help build a second high school. Today, Oleleshwa Girls Secondary School empowers hundreds of young Kenyan women with an education. Nelly personally provided full scholarships for five of them. Nelly has joined us to perform at several WE Day events, including the inaugural WE Day Family event and the incredible WE Day Canada. 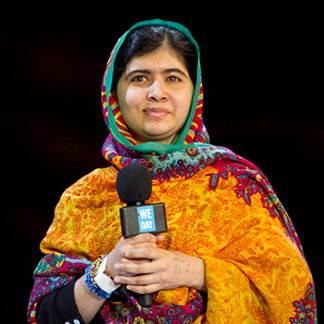 She has participated in WE Walk for Water, and even sold ME to WE products on her 2013 tour. 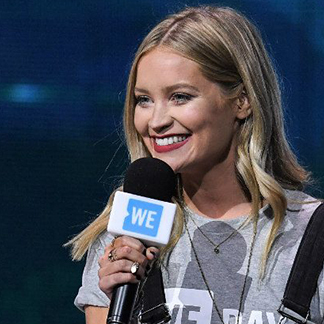 We couldn’t be more proud to have her as an ambassador!